As enterprises become more data-driven, it’s not the hardware or the infrastructure that’s at issue. Instead, technology professionals with the skills to organize, analyze, and secure data are increasingly hard to find. Furthermore, the volume of data is growing significantly. The Cisco® Visual Networking Index (VNI) predicts that the annual global IP traffic will reach 2.3 ZB per year by 2020. For travelers, this means potential data saturation and the inability to process all that information. Most of the connectivity will be carried by smartphones and other portable devices. The traffic from wireless and mobile devices will account for two thirds of total IP traffic by 2020. Likewise, global fixed broadband speeds are anticipated to increase. Travelers and other users can find out about violent incidents within minutes of their occurrence, nearly anywhere in the world. This trend can only accelerate in the future, unless there is some sort of global technological catastrophe that degrades the system worldwide. Coupled with the preceding trends, the issue of veracity and reliance on electronic media for reliable information becomes increasingly tenuous. The recent furor over false news reveals immediate and future challenges that face cybersecurity and digital governance. Damaging attacks are simpler to imagine and execute, using commonplace tweets, emails, and domains. Stolen identities and socially engineered data can also pose risks. 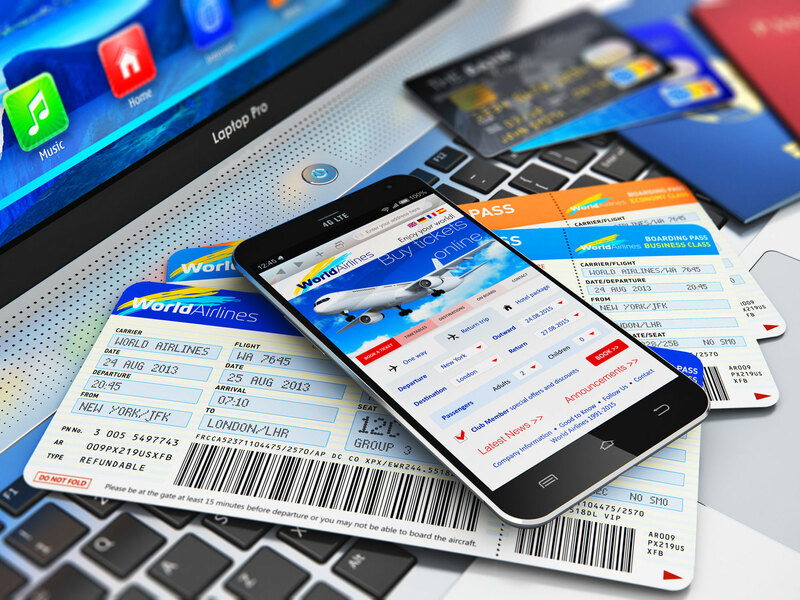 Trustworthiness of information remains paramount, and travelers must remain vigilant about fake news and the potential for criminal imposters. The Canadian firm Brand Protect provides clients with relevant, actionable information about cyber threats that can affect an enterprise’s customers, business, and reputation. Their weekly publication, Cyber Threat News Digest, keeps clients informed about macro-level cyber threats and related issues. Individuals, whether traveler, government officials, or corporate executives, are responsible for validating the information they encounter. Remember to carefully consider the potential results of any decision or action that you take based on the information you’re given. No one knows our weaknesses and vulnerabilities better than our intimate companions, including family, friends, and close colleagues. Complex systems such as social media are vulnerable to sabotage and may be used by individuals to cause harm to others, be it their families, colleagues, innocent people, or even the organizations they are working for. While social media has great utility as the source of useful information, recent events highlight the importance of trusting curated content over unproven or unverified data. Ill-intentioned individuals increasingly use social media to create, distribute, or perpetuate false information, exaggerating or distorting actual events. Intel Security’s Eric Peterson cites CEO fraud (the FBI calls it business email compromise) – where individuals in companies are targeted through social engineering, and manipulated to fraudulently transfer money to criminal-controlled bank accounts. There have been instances where the attacks have coincided with business travel dates for executives, since this increases the chances of the attack’s success. Social media platforms enable two-way interaction between all sorts of people and have become a game changer in personal, social, and political communication. Conventional media has arguably become less influential. Don Peppers observation that most people don’t fully realize how social networks actually operate, and the important implications this has for how we use (or abuse), noted in a 2012 article on LinkedIn, remains true today. We are often surprised by social media functionalities and vulnerabilities that few outside industrial, technical, or academic environments fully anticipated. For example, one of the most influential members of Reddit in its early days was a man named Adam Fuhrer – who turned out to be a 12- year-old-boy living with his parents in Toronto. As the number of airport-related criminal and terrorist events proliferate, security precautions at airports are likely to undergo substantial changes in terms of configurations, operations, and procedures. Staying current on these changes wherever you travel and planning ahead to meet these changes is highly recommended. Make back-up plans in case your mobile devices are lost or stolen. Many of us rely on smartphones for managing air travel, car rental, and even checking into and out of hotels. This increases our level of exposure and leaves us open to having emerging vulnerabilities exploited. Manual approaches might be less convenient, but they are also safer and more reliable. Developing a degree of redundancy – a back-up plan – in the event portable devices are lost, stolen or quit working, is prudent practice and common sense. On a recent visit to the traffic-jammed metropolis of Mexico City, my host proudly mentioned he had a GPS device in his car. Everything went according to plan until the GPS device failed! The map function on my smart phone proved to be of little value as I had failed to buy the Mexico travel package. After visiting multiple gas stations in search of a map, I ended up purchasing the rather costly “Mexico City Travel Guide” (Guia Roji, Spanish Edition) which included far more information needed for our immediate needs, but proved to be invaluable for subsequent local travel. Whether making trips for personal or business travel, or a blend of the two, we need to plan ahead to ensure our personal safety. Contingency plans should include how to safeguard information and maintaining reliable access to our portable devices. The future has arrived. Smart travelers need to not only watch out for current threats, but anticipate a future where pressures will evolve faster than we are capable of adjusting to them. Situational awareness, technological flexibility, and personal adaptability will be key for security.